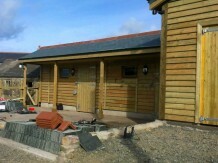 We recently completed this garage with attached stables in Penzance. 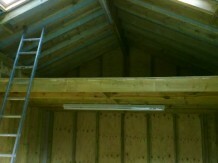 It features a single standard size stable and one extra large stable. The garage doors are standard size, H2133mm x W2133mm (7′ 0″ x 7′ 0″), however, the garage is taller than normal and features two velux winodws in the roof. 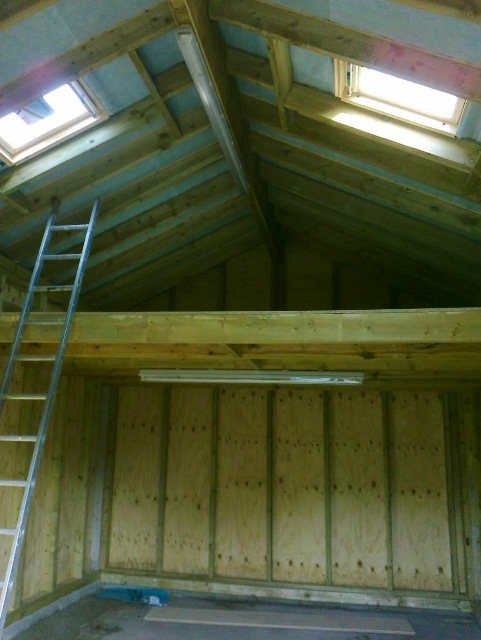 Inside the garage is a mezzanine for storage. 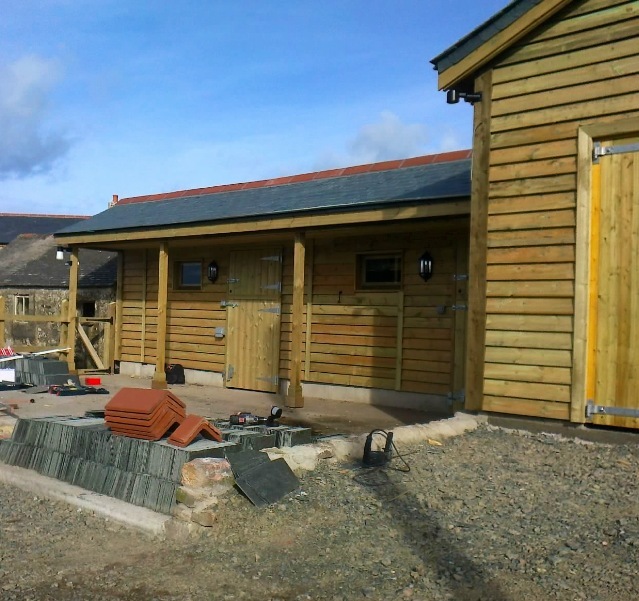 Groundworks and slate roof were done by others.